This book opens up the field of literary studies to the promise of a haptic oriented analysis. 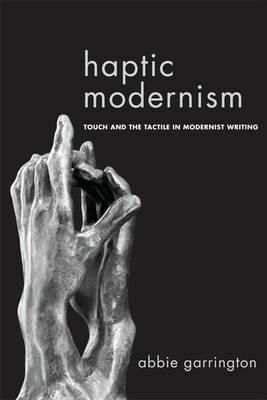 This book contends that the haptic sense - combining touch, kinaesthesis and proprioception - was first fully conceptualised and explored in the modernist period, in response to radical new bodily experiences brought about by scientific, technological and psychological change. How does the body's sense of its own movement shift when confronted with modernist film? How might travel by motorcar disorientate one sufficiently to bring about an existential crisis? If the body is made of divisible atoms, what work can it do to slow the fleeting moment of modernist life? The answers to all these questions and many more can be found in the work of four major writers of the modernist canon - James Joyce, Virginia Woolf, D. H. Lawrence and Dorothy Richardson. They suggest that haptic experience is at the heart of existence in the early twentieth century, and each displays a fascination with the elusive sense of touch. Yet these writers go further, undertaking formal experiments which enable their own writing to provoke a haptic response in their readers.